CELEBRATING 39 YEARS OF QUALITY HOT TUB SERVICE & CARE FOR THE NORTH LAKE TAHOE, TRUCKEE AND SURROUNDING AREAS. 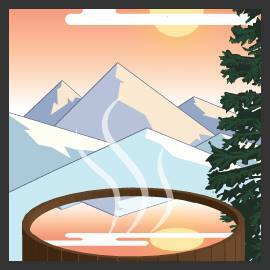 Pomin’s Tahoe Hot Tubs carries Marquis Hot Tubs. Known for their elegant, luxurious design and high-quality construction, Marquis Hot Tubs go beyond comfort and relaxation—they are built to actively promote a therapeutic experience. We selected Marquis because we feel they are the best, and our customers agree.